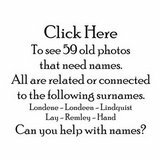 Londeen, Londene, Lundine, Linquist, Lay, etc. Whether you are a Londeen, Londene, or Lundine your information search should start here. It shouldn't be surprising that we are able to trace our ancestors back to a common region. We have gathered more information and want to share it with you. If you have information to share, drop an email to or and we will get it posted for all to see. From reunions to vacations, we want to help get the word out. If you haven't heard of the Family Tree DNA project and want to participate in some really facinating geneological research, please inquire or visit, www.familytreedna.com . Carl and Donna have made a great website for the Call The Vet. Ordering is easy with Paypal or mail in order form. A hardback or paperback book is available. Click this link to go to the order page. The Lay Reunion was held at the Restaurant formally known as "Lena's". Oh what memories returned as we passed through the doors. A favorite spot for Birthday's. Lena, herself, would come out and administer the famous birthday spank with a birthday patron signed paddle. The paddles were hung on the walls all throughout the dining areas. There have been many famous people who have received Lena's celebration, including our 34th President. 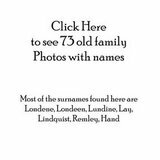 There were many requests for Lay family information, and as promised, below are links to the Lay Family History we have uncovered. Photos of Lay Relatives and many unidentified photos at PicasaWeb. 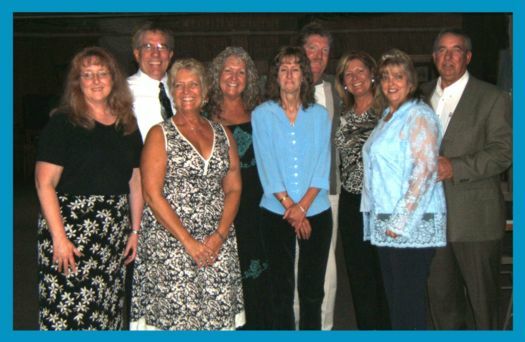 If you have any photos or items your would like to share items from the reunion, send an email to . We attended another fine Londene reunion. There were Londene's, Londeen's, Lay's, Linquist's and more in attendance. If you don't know what the term 'Thrasher Food' is then you better attend the next reunion. Many of the recipes from days gone by were served to hungry relatives. It is sad to say that the newer generations will only know of thrashers from their history books. A nice card was signed sending our "Get Well's" to Duane, who was unable to attend. We send our best wishes. Another card was signed wishing Bess Lundine a Big Hello from Kansas. Chuck Lundine was a great mentor in our genealogy research. Bess has handed down Chuck's materials for us to archive and add to our collection. We thank Bess for these precious and valuable volumes of family information. Now it is time to learn Swedish. If you have any photos or items your would like to share from the reunion, an email to . 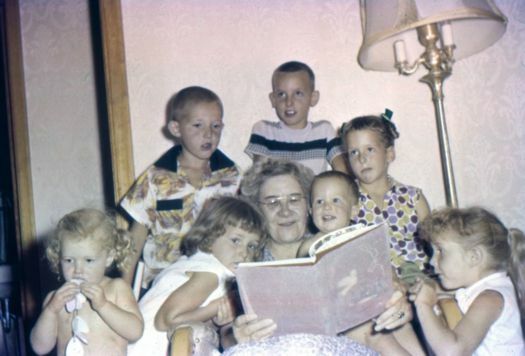 Many of you have allowed Donna and I to scan your precious memories to help fill our family trees. Your photos have added to our research greatly. We have collected a few photos that the subjects are unknown. Relatives from long ago, but not forgotten. We are posting them online in albums in hopes that someone will recognize someone. A special note of thanks to Dotti for sharing her pristine collection of photos. It is incredible to hold photos that were taken nearly one hundred years ago. Now, if we can just determine who they are. 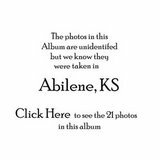 We have created several albums containing photos of relatives are listed as unknown. If you happen to know who they are leave a comment with the photo or send an email to . Click on the links below to view the photo albums. The main link to the photos is here Photo Albums. I have to say that when it comes to fun and exictement, my cousins have been one of the greatest sources amusement. Are you able to tell that it has been over fifty years between these two photos. What do you think? Can you match some of the faces between the two photos? Here's another bit of fun information. Some of these cousins are 'double' cousins. Can you guess who? Memories of Gold is a must have book for anyone who lived in central Kansas. If you want to relive the times of the era, then this book is for you. Fred has done an excellent job of bringing back the memories he had of growing up in the midwest. Do kids really listen to their parents? Well, from the photos above, I do have to say, we listened and "cleaned up pretty well".